Successfully Added Car Parking Sensor - 4x Sensors, Distance Alarm to your Shopping Cart. Car parking sensor with 4 sensors, and a LED display with proximity notification giving you a low cost rear parking sensor device solution for your vehicle. This car parking sensor will help prevent costly insurance claims against you or damage to your car whilst reversing and parking. Even if there is an out of sight low wall or child behind your vehicle, then this parking sensor will sound an alarm to alert you to stop as well as display the distance between you and the object behind your vehicle, on the color LED display! Coming with 4x ultrasonic parking sensors, all the angles will be covered giving you an reliable distance reading and alarms when you need it most. This car parking sensor is so easy to install that it’ll be ready almost as soon as it’s out the box! 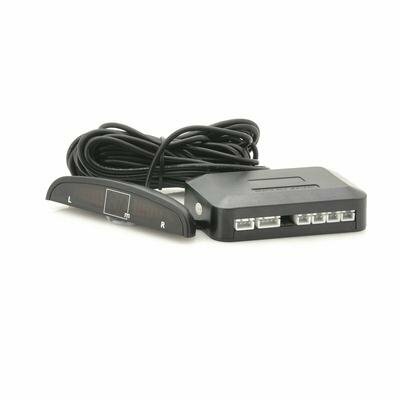 Simply plug in all cables into the main box unit, attach the sensors to the rear of your vehicle and you’re done. And if you need to create your own car sensor holes, then this package also features a handy drill bit to drill your own holes in your car. 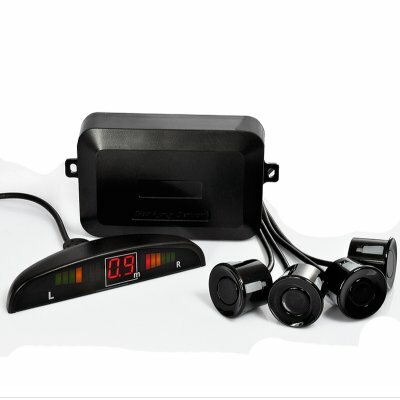 Order this fantastic Car Parking Sensor System today and keep your vehicle safe from unwanted accidents. Not only the price we offer you is amazing low, but the money you save on potential repairs and insurance alone makes it even more attractive! Brought to you by the leaders in wholesale electronics, Chinavasion! ziet er goed uit en is zelf gemakkelijk te installeren. De prijs is goed ondanks de dure verzendkosten. Normaal is de prijs voor hetzelfde type 40 euro. Er zijn diverse kleuren leverbaar volgens het opschrift op de verpakking. Helaas heb ik zwarte sensoren voor een witte auto. Jammer, dat had mooier geweest.